A bicycle is stolen in England every 71 seconds. So how do you solve this problem through the power of design? 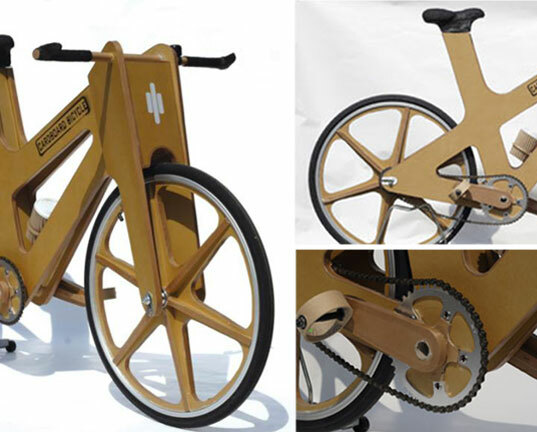 According to design student Phil Bridge, make a bike so cheap that there’s no incentive to steal it. 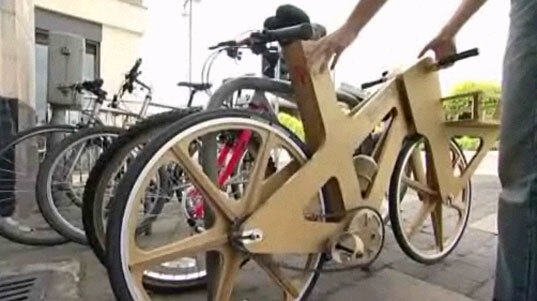 And the intrepid design student did just that, by building a bike for about $30 made out of cardboard. Yes, my friends, cardboard! 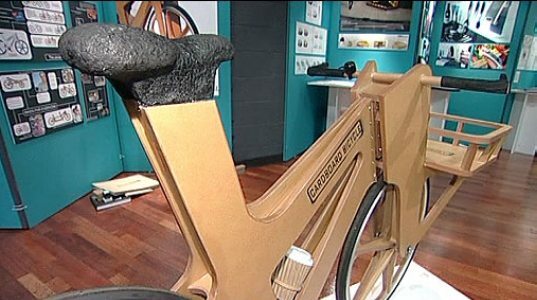 The 21 year old student designed and created a cardboard bike as part of his degree course in product design at Sheffield Hallam University. The bicycle is not made out of simple ordinary corrugated cardboard, as that would not be strong enough to hold a person’s weight. Instead, Phil used hexacomb board, a more structurally stable form of cardboard which, by the way, is also waterproof. 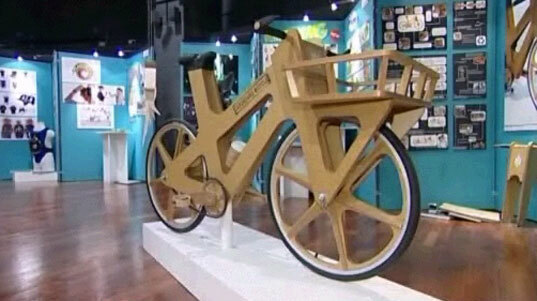 Not all of the bike is made out of cardboard. Tires, chain and brakes are still the same metal and rubber components as any other bike. 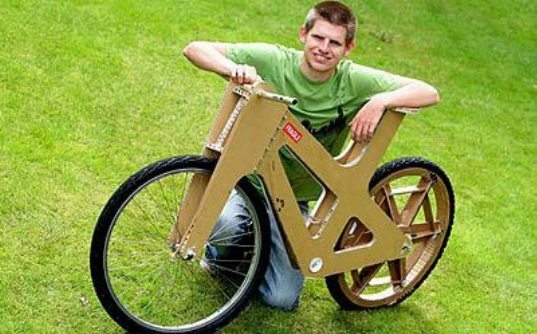 The cheap and cheerful cardboard bicycle will hold anyone, provided such person does not weigh more than 168 pounds. And while not designed for speed, the bike does work and will get you to where you want to go. Bridge is now hoping to get a sponsor for to turn his bike into an actual product. Any takers?